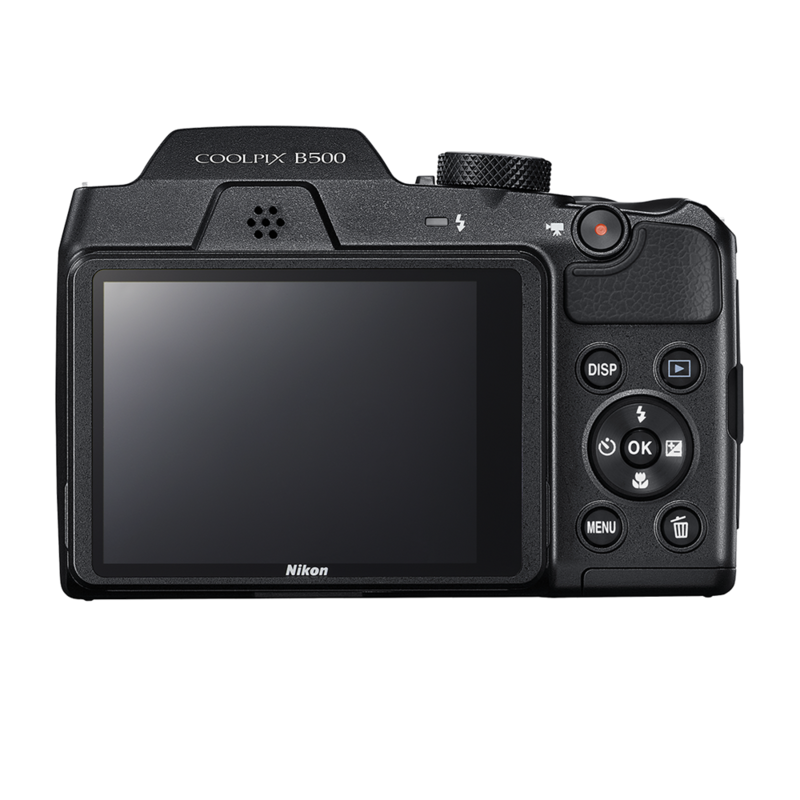 The COOLPIX B500 feels great in your hands, whether you're zooming in with its super telephoto NIKKOR glass lens or recording 1080p Full HD video using the flip-up LCD. 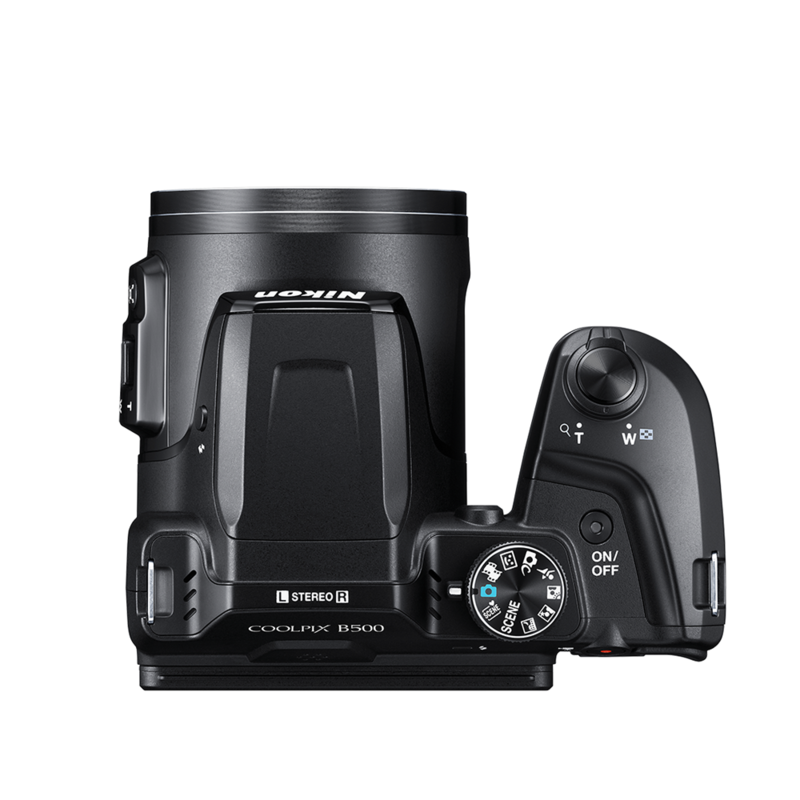 And it takes all the work out of shooting beautiful photos and videos with its 16 megapixel low-light sensor, Lens-Shift Vibration Reduction (VR), easy menus and controls, fun creative effects and outstanding automatic operation. 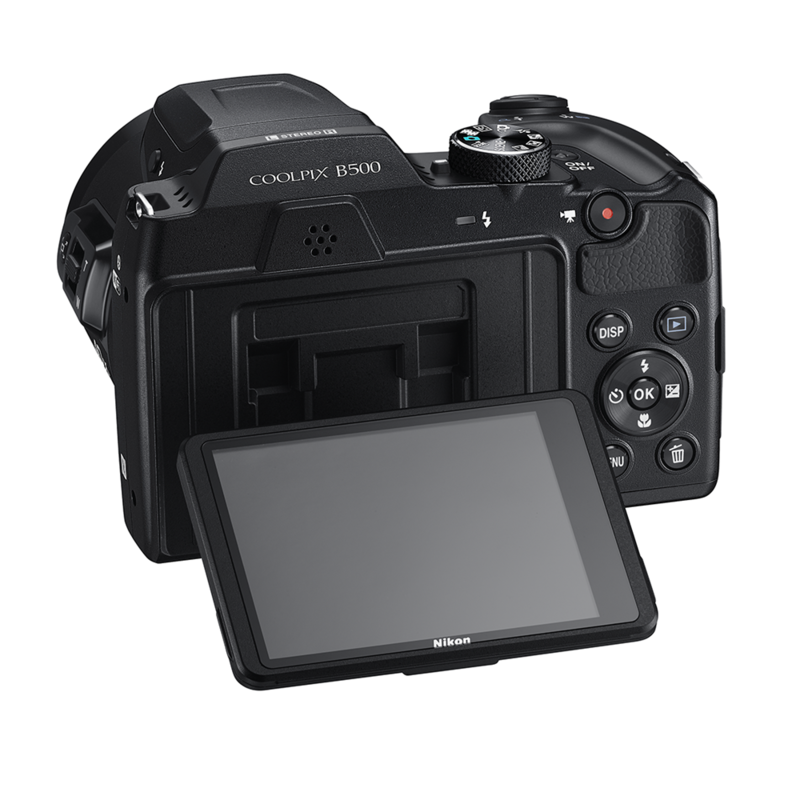 Plus, the whole time you're shooting, the COOLPIX B500 can be easily and seamlessly connected to a compatible smartphone through Bluetooth low energy (BLE) technology for instant photo sharing and remote camera control. Simply brilliant. 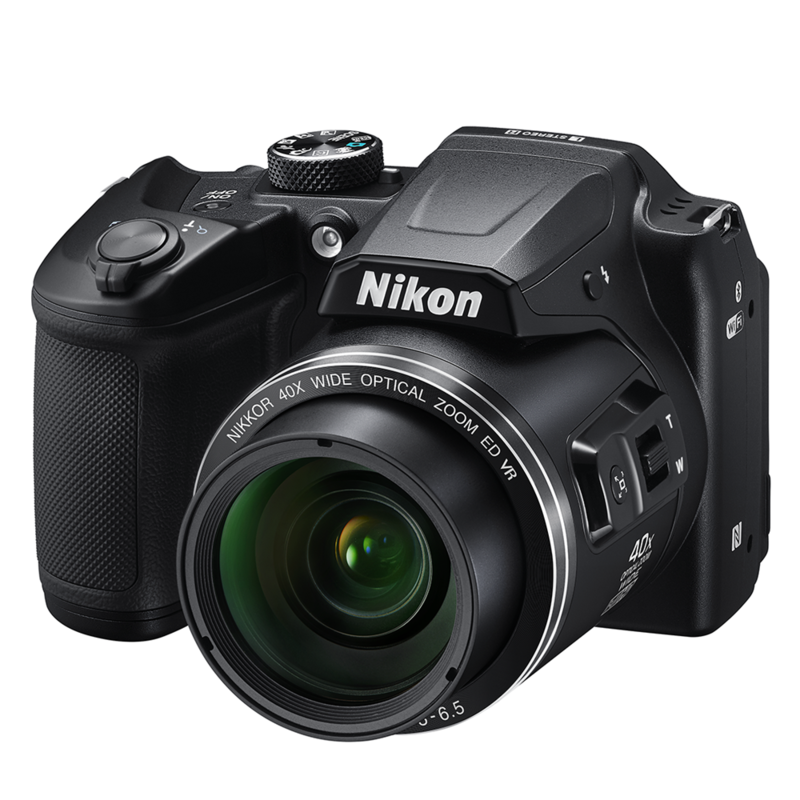 Install Nikon's Snapbridge app on a compatible smartphone or tablet and unlock exciting new capabilities with the COOLPIX B500. Built-in Wi-Fi, NFC and Bluetooth low energy (BLE) maintain a constant connection between the app and your camera, so each shot you take automatically transfers to your smartphone or tablet for sharing, editing with photo apps or uploading to your favorite sites. You can even use the Snapbridge app to control your camera remotely! 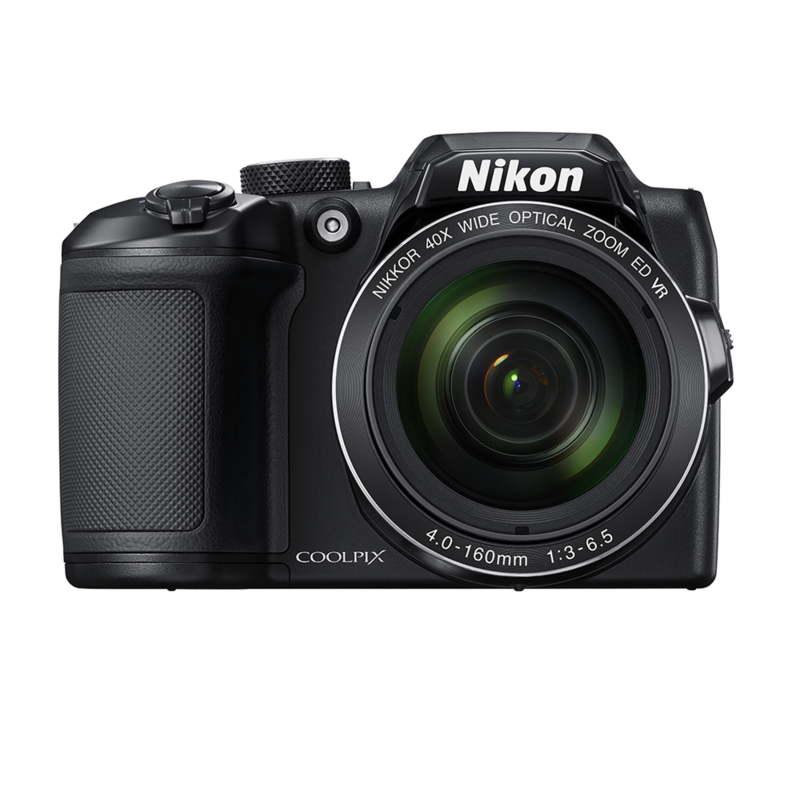 The COOLPIX B500 is so energy efficient, you can take up to 600 shots on four regular AA alkaline batteries. Capture an entire vacation?and then some?on just one set of batteries. Easily create artistic high-impact photos with the new Creative Mode. Select from 5 professionally developed presets that combine options like aperture, contrast and color reproduction for stunning results. Preview the effects before you shoot or capture one image all 5 ways and pick your favorite. 25 sec - 1/4000 sec.